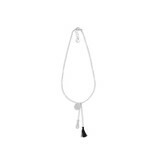 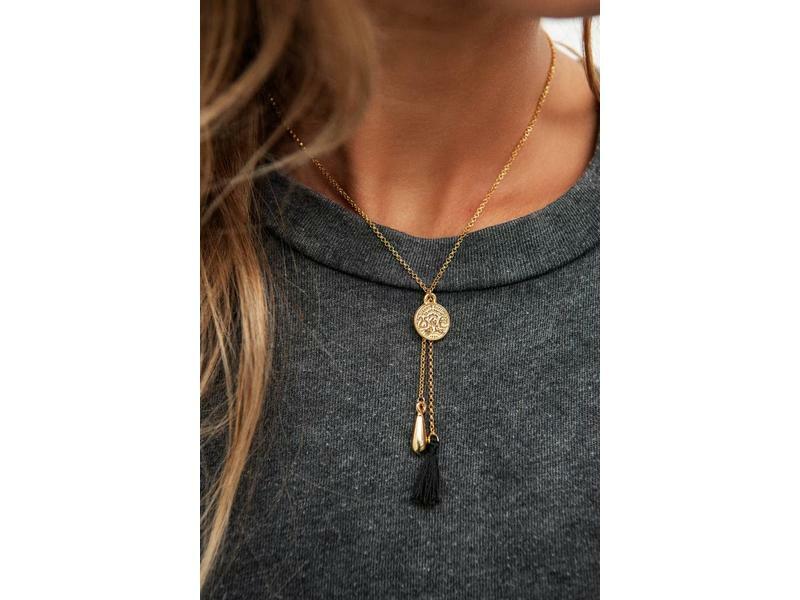 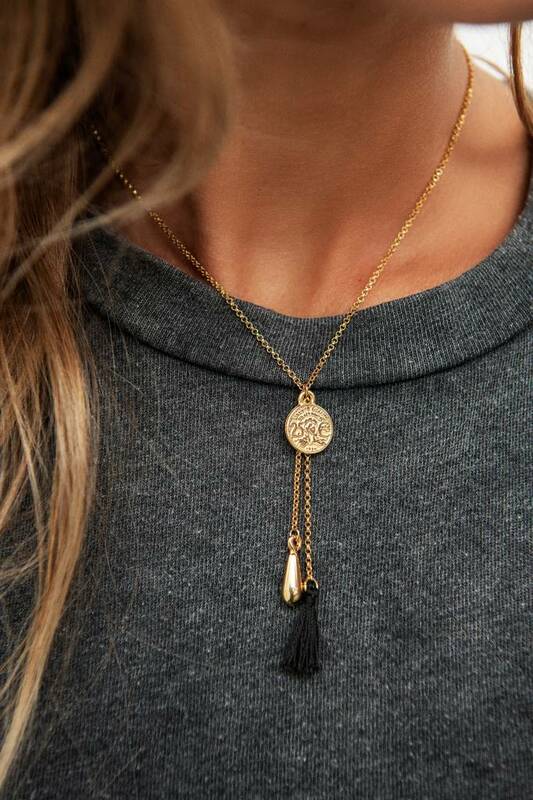 Silver plated necklace with coin, drop & black tassel at the end. 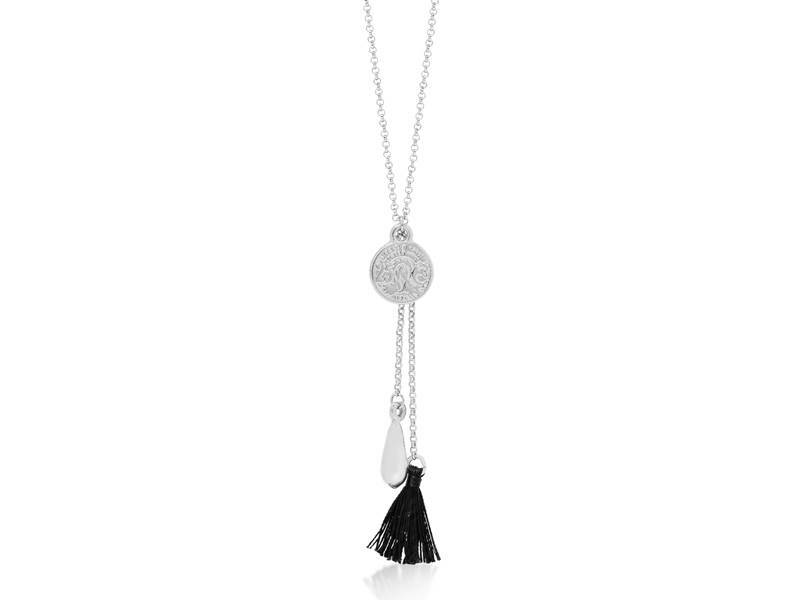 Length is 36 - 39 cm. 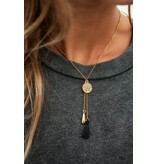 Length 'charm' is 7 cm.